Yellow Pages » MN » Elk River » Office Furniture Dealers » A-1 Acrylic's Inc.
At A-1 Acrylic's we use innovative design and fabrication techniques to turn your ideas into reality! 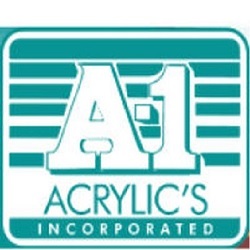 If you are the owner of A-1 Acrylic's Inc. and would like to make changes to your business listing information, click here. Contact Request for A-1 Acrylic's Inc.